Secure and Reliable Locations throughout the World. YourLastHost works with ColoCrossing and Quadranet to offer flexibility with highly reliable power and cooling in Dallas, Texas. Utilizing Tierpoint's high-availability location, superior uptime and reliability can be attained on a regular basis. 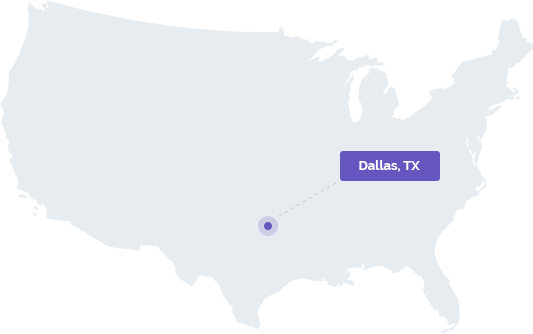 The Dallas datacenter features a fully redundant HVAC system and is remotely monitored and maintained both by our 24/7/365 Network Operations Center and with 24/7/365 on-site remote hands. If you have any questions about our facilities, please feel free to contact us. Virtual servers with instant deployment and tons of flexibility can be conveniently set up in Dallas, TX. Dedicated servers can be quickly set up and be ready for use in Dallas, TX. Feel free to use the following information to complete network tests, including pinging, traceroutes, MTRs, and more. This tool can be a great way to evaluate our network, and see if it meets your needs. See how we stack up against our competitors or read some of our Frequently Asked Questions.